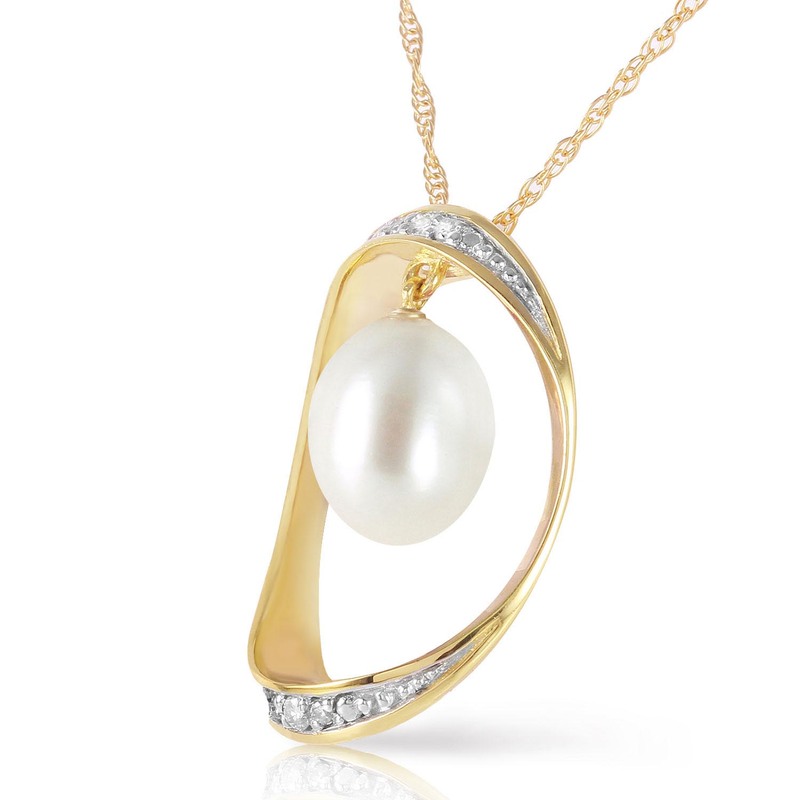 Pearl & diamond necklace handcrafted in solid 9 carat gold. 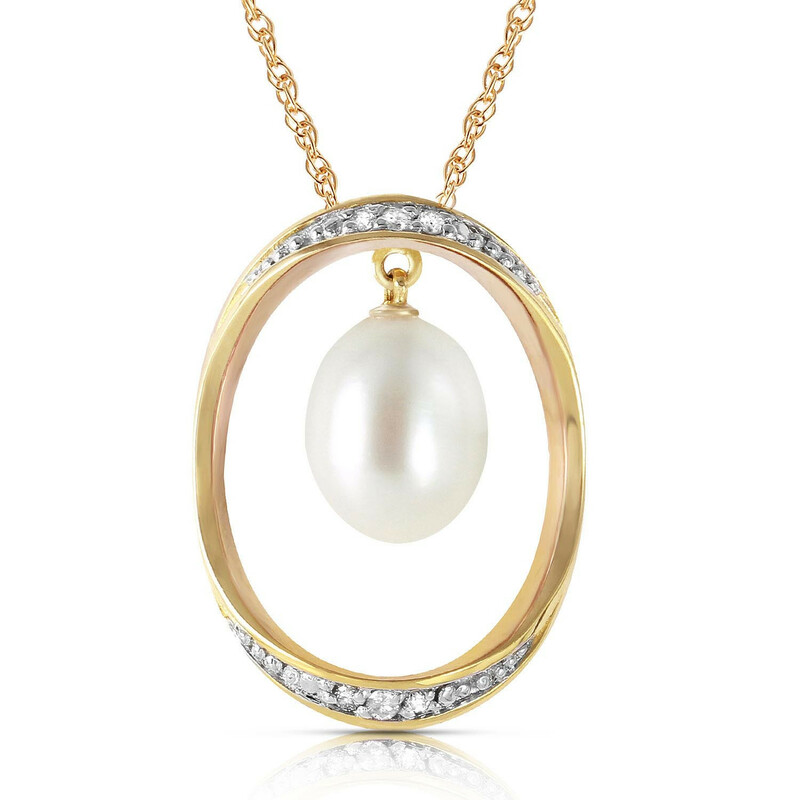 Single 4 ct natural freshwater pearl, six diamonds, SI-1/G, total 0.1 ct. Pendant suspended from gold double link rope chain with spring clasp, length options from 14" to 24". Available chain thickness 0.68 mm (pictured) and 1.15 mm.